The 7-inch colour touch screen makes work more fun thanks to easy navigation and operation similiar to today's smartphones and tablets. The newly integrated mobile touch area lifts work flexibility to a new level enabling mobile device users to connect, print and scan just by touching the mobile area on their device. Equipped with the optional WLAN kit, the machine can establish a WLAN Access Point to which you can connect with any mobile device in parallel to your LAN or WLAN company network. This gives you more flexibility and security, as the access can be secured. 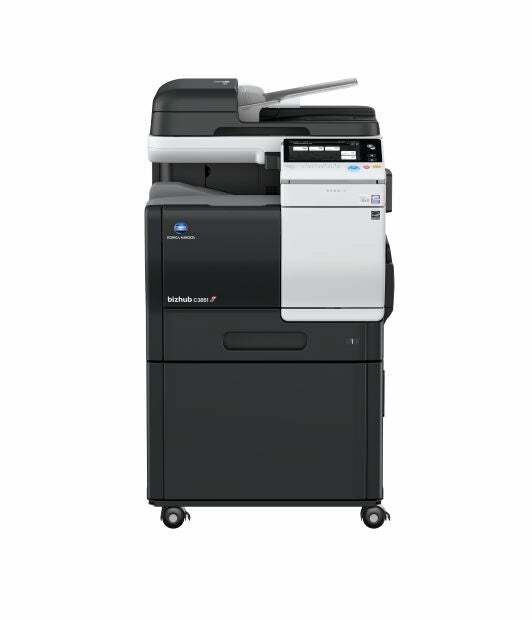 Latest Konica Minolta core technologies - next generation print controller, next generation polymerised toner and latest application platform - ensure streamlined office workflows and smooth integration with Konica Minolta multifunctional A3 devices. Interested to see all features and options and build your very own bizhub C3851? 1st copy out time A4 (mono/colour) 6.2/7.1 sec.